“Reputation” – can’t buy it, we have earned it! Nelson, Cooper & Ortiz is a leading commercial collection firm based in Houston. We specialize in commercial debt collection. 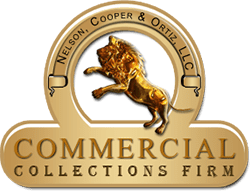 Over the years, Nelson, Cooper & Ortiz has performed commercial asset recovery and commercial debt recovery services for numerous clients from a variety of industries. As a full service commercial collection firm, it’s our overall experience and knowledge that makes us preferable over other commercial collection agencies. Nelson, Cooper & Ortiz maintains a team of skilled staff to provide clients with the best possible collection service. 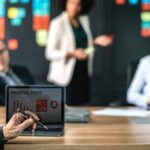 Nelson, Cooper & Ortiz works with Fortune 500 companies as well as small businesses and provides personalized services to its clients irrespective of size. The company uses advanced technology while dealing with past due accounts. We, at Nelson, Cooper & Ortiz, understand that the inability to recover outstanding debts can cause a company financial difficulties and hinder operating cash flow. 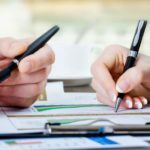 However, use of unlawful or overaggressive measures to recover outstanding balances can affect a company’s reputation adversely. Nelson, Cooper & Ortiz can recover debts using its proven expertise in accordance with the provisions of the law. Bringing in a third party debt collections firm such as Nelson, Cooper & Ortiz sends a strong message to your debtor. It makes them aware that they may have to face legal action for nonpayment. With a portfolio of fast track commercial collections, Nelson, Cooper & Ortiz guarantees a hassle free way to debt recovery. Our collection services are provided on a contingency basis. Our services are cost effective and if we fail to collect there are no fees incurred. Opt in for a free quote from the website. Take advantage of our proven collection techniques and plan of action to resolve outstanding past due accounts where the debtor continues to ignore your internal collection efforts. Nelson, Cooper & Ortiz, LLC understands the importance of liquidity and is our number one goal for our clients!